Lighting is one of the most important aspects of home decor. The right kind of lighting not only accentuates the theme of a room, but also helps to create a certain atmosphere and purpose for the space. In a family room, or reading area; brighter lighting is required, and sets the energetic tone for that room. Meanwhile bedrooms, guest rooms, living rooms and parlor areas are better suited to a softer, more ambient style of illumination. 1. Floor lamps as accessories: Think of your choice of floor lamp as the jewelry or accessory to an outfit. Use the colors and style to compliment the main theme of your decor. 2. 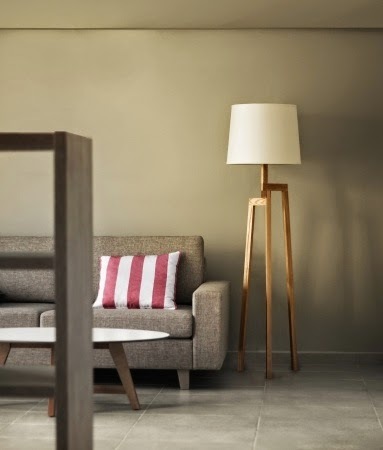 Floor lamps as your defining style element: In a living room or family den use your floor lamp to define your style. Sleek and monochrome styles for a more modern look; floral, colorful, and traditional for classic decor. 3. Floor lamps can create a timeless style in any room: A classic or antique floor lamp can create a style in any room in your home that is timeless and always on trend. 4. Floor lamps as an accent color: Floor lamps are wonderful as accent colors to help balance a room. If your room is decorated in a minimalist style of decor; use a colorful floor lamp to bring in some vibrancy. 5. Make sure that your floor lamp is coordinated: Matching the style of the shade to the style of the floor lamp stand, is important. For modern stands, choose a modern shade; stick with more traditional shades for a more classically designed stand. 6. Choose the right size lamp shade: Consult with your retailer for the perfect-sized lamp shade. One that is too large for the style and size of the lamp stand, can look overwhelmed. A floor lamp should have a balanced look. 7. Decide how much light you need in a space before choosing a shade: If you are placing your floor lamp in a room for work or reading; you will need a lamp shade that will allow enough light to flow into the room. For bedrooms or other quiet spaces; you can go with a more ornate opaque style of shade. 8. Choose just the right corner for your lamp: Survey the room and decide which corner or area of the space is best for your floor lamp. For rooms with lots of activity; place the floor lamp in a corner where it can give off the most light. For bedrooms, the farthest corner away from the bed may be better for a relaxing space. 9. One or two floor lamps? If the space is large enough, it can accommodate two floor lamps; possibly in opposite corners of the room. One lamp may be dwarfed by a large spacious area. 10. Combine floor lamps with table lamps in your decor: Especially for rooms that require ample lighting; it’s stylish and practical to combine floor lamps with table lamps. This also gives you more lighting options in a space. A table side lamp may be perfect next to a reading corner; while a floor lamp is perfect when entertaining guests in the space.